The 17 Group is the longest running discussion group of its type in Brisbane. It is convened by Dan O’Neill who, onetime, was heard imploring 5,000 workers and students in King George Square to make the movement (for democratic rights) ”systematic, organised, and absolutely massive.” Dan (and others) then led the 5,000 people into police lines where 418 people were arrested in the largest mass arrest in Australian history. The August Meeting of the 17 Group, on the subject of early Australian socialism from 1887 to 1917, was held on Wednesday the 3rd of August 2011 at 7pm in unit 6 at 20 Drury St West End. Jeff Rickertt, currently writing a biography of Ernie Lane, gave an excellent talk. Since 1917, Marxian revolutionary politics have been synonymous with Bolshevism, a project which, despite its own fragmentation and fractiousness, has been consistently hostile to bourgeois forms of democracy in general and bourgeois parliaments in particular. Taking their lead from Marx and Engels’s aphorism that the capitalist state functions as the executive of the capitalist class, most Marxists claiming allegiance to the Bolshevik tradition have been scornful of those who have insisted on the possibility of a parliamentary road to human liberation. On the evidence to hand, it is a view difficult to fault. But we Marxists were not always so adamant on this point. Indeed, from 1887 to 1917, most Marxian socialists in Australia looked to state action to break the back of capital and usher in a society based on need rather than profit. In this talk, I will tell the story of this forgotten tradition of radical state socialism and offer an explanation for its rise and fall on the Australian political scene. Jeff Rickertt is an historian and librarian whose own involvement in radical politics began with the 1985 SEQEB dispute. He met Dan in a Literary Theory tutorial and cemented the friendship in the Brisbane lockup, where the literary discussion continued. Jeff was a contributor to and assistant editor of Radical Brisbane: an Unruly History, and has published widely in the field of labour history. He is currently working on a biography of early Australian socialist, Ernest Henry Lane. Given the delicate nature of the subject under discussion, Leon, who once said ”You may not be interested in strategy, but strategy is interested in you” is seen here consulting with a few comrades about whether to attend. [There were some notable absentees. Perhaps we can draw hope from the fact that Trotsky, unlike the Soviet workers, was dressed as for the chill Brisbane winter. ”… After asking why were we were focused on parliamentary cretinism, I identified the Kuhn-Bramble method as Idealist. Their failure to periodise the expansion of capital renders them unable to explicate how the Labor Party has serviced capital’s shifting needs. Instead, their Platonic Ideal Form has the Party remaining a ‘capitalist workers’ party’ across its 120 years.” — Humphrey McQueen ”Labor’s conflict, big business, workers and the politics of class” by Rick Kuhn and Tom Bramble. STATE LIBRARY ANNOUNCES 2010 AWARD WINNERS Jeff Rickerrt’s award to study Ernie Lane. Vale Bob Gould – Bob Gould’s role in LeftPress reprint of Ernie Lane’s Dawn to Dusk and some other background. Labor’s conflict, big business, workers and the politics of class by Rick Kuhn & Tom Bramble. This entry was posted in Recent and tagged marxism. Bookmark the permalink. I have posted the notice of Jeff’s talk at 17 Group above. I am interested in what Jeff sayson this topic, I hope to attend. 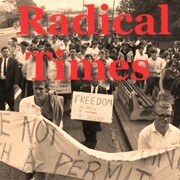 The 17 Group may be interested in LeftPress edition of Ernie Lane’s autobiography “Dawn to Dusk – reminiscences of a rebel”. 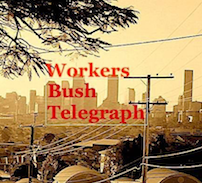 See https://workersbushtelegraph.com.au/2008/06/28/dawn-to-dusk-reminiscences-of-a-rebel/ > for the text of the book.